Journey to India 2012: Our mountain trek to the orphanage on our first day in Manali. Our mountain trek to the orphanage on our first day in Manali. On Thursday, July 12 we flew out of Grand Rapids. Due to time zone changes we arrived in Delhi on Saturday about 1:00 a.m. We checked into the hotel for a short sleep. 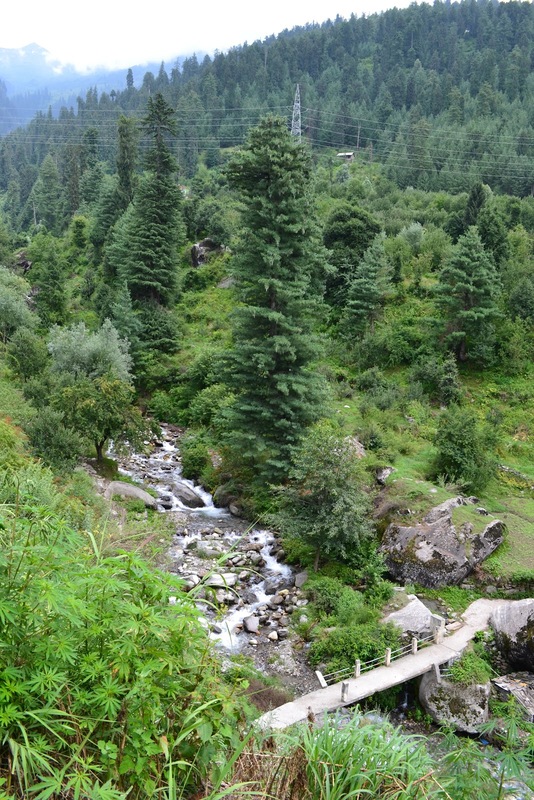 Saturday about 10:00, we left on the bus for Manali, located in the Himalayan Mountains. The bus trip took 18 hours, so we got into our guest house about early Sunday a.m.
On Sunday we got to meet the kids at the orphanage. These ladies are planting lentils. Lentils are used in many Indian dishes. Rice is also a favorite. have organized a coop to market these shawls made of wool, cashmere, angora and other fibers. I'll let you guess what this is. It grows everywhere! Here is a hint: When plants grow everywhere we call them weeds.